Chicago will sue actor Jussie Smollett for the costs of police overtime spent investigating his claims that he was the victim of a hate crime, which prosecutors say were false, a city official said on Thursday. The lawsuit was being prepared after Smollett (36) refused a demand by the city for $130 000, said Bill McCaffrey, a spokesman for the city’s Department of Law. “Mr. Smollett has refused to reimburse the City of Chicago for the cost of police overtime spent investigating his false police report on January 29,” McCaffrey said. Smollett, who is black and gay, touched off a social media firestorm by telling police on January 29th that two apparent supporters of U.S. President Donald Trump struck him, put a noose around his neck and poured bleach over him. But the actor, best known for his role as a gay musician on the Fox Television hip-hop drama Empire, was charged in February with staging the incident himself and filing a false police report. Last week prosecutors dropped all charges against Smollett, infuriating police and outgoing Mayor Rahm Emanuel. Prosecutors said they stood by the accusation but that an agreement by Smollett to forfeit his $10 000 bond was a just outcome. The case file was sealed by a Chicago judge, which critics suggested was evidence of a cover-up. The actor’s criminal defence attorney, Mark Geragos, could not be reached for comment. On Monday, some 300 people, including off-duty Chicago police officers, took to the streets to protest, calling on Cook County State’s Attorney Kim Foxx to resign over her handling of the case. Foxx, who recused herself from the case before charges were filed, citing conversations she had with one of his relatives, has defended her actions and those of her prosecutors. 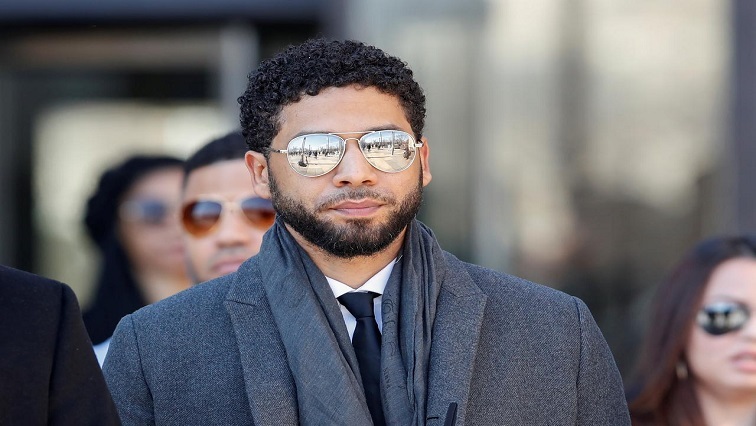 The post Chicago to sue actor Jussie Smollett appeared first on SABC News – Breaking news, special reports, world, business, sport coverage of all South African current events. Africa's news leader..